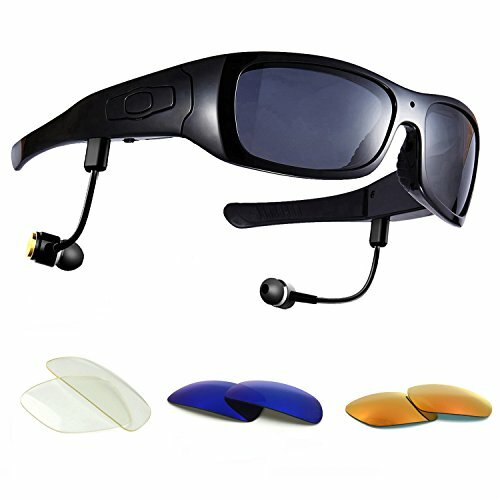 Are you in search of spy camera sunglasses that can help you record things around your discreetly? We’ll review the top five glasses with camera to help you make the best choice. Keep on reading for our reviews of the best spy camera glasses and sunglasses. Typically, hidden spy glasses look ordinary. No one will know about their added features unless you own and use them. 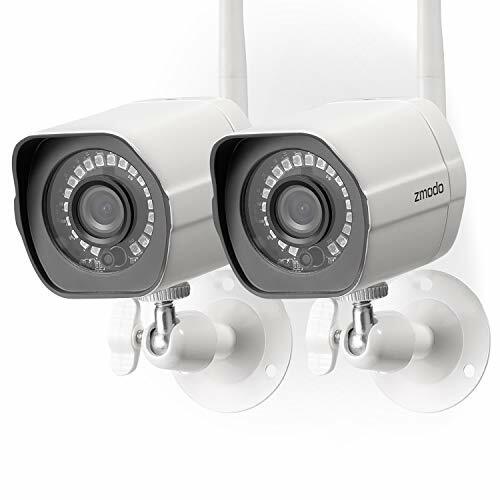 If you haven’t seen one of these spy devices, but want to own one, we will help you find the best pair that suits your needs and preferences. They’re great for sports, walks with dogs or grandchildren, or even catching some illegal activities happening around your home. There are plenty of styles, and options to suit just about any budget for hidden camera glasses. Keep on reading for all the details on these glasses ranging from 720p to 1080p. Our Top 5 Spy Camera Glasses are different in features. But, the good news is that there are a ton of choices ranging in price from very affordable, to high end. Some are suitable for stocking stuffers for kids, while others are more high-end and designed for adults. In this case, you often get what you pay for. Some are more like a toy for kids, while others are designed to work as an actual spy device. Read on and pick the pair that caters to your fashion and protection needs and preferences. If you’re looking for a pair of sunglasses that can record during all weather conditions, these may be your top-pick. 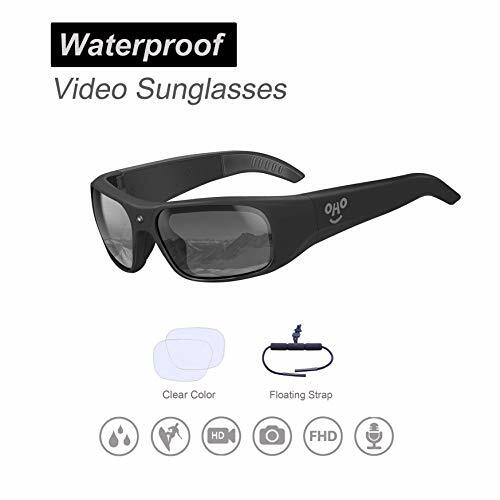 Unlike the other options on this list, OHO video glasses are completely waterproof, making them suitable for water sports and boating. 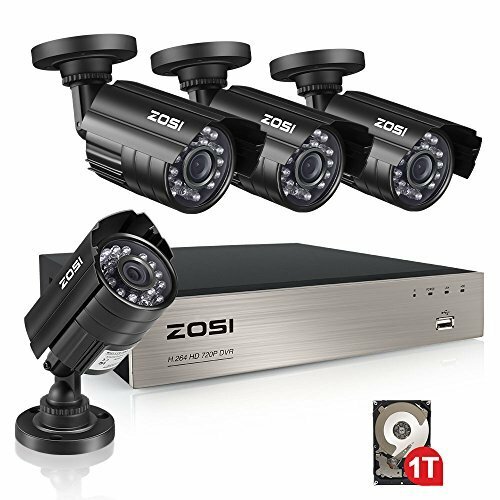 If you want crisp, clear video recording then look no further. They record in 1080p, with full HD video resolution. The audio quality is excellent as well. The fact that the lenses and frames are such high quality make them an obvious choice for sports. Wear them without worry! Oh yeah, your eyes are protected too with the polarized lenses. 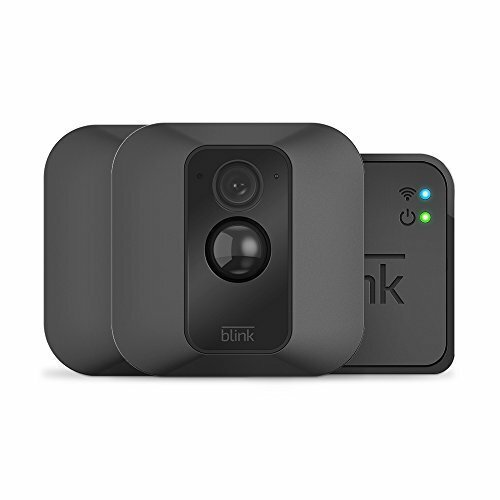 The one-touch operation is super simple and allows you to turn the video on/off or capture photos. The glasses have an LED indicator light, as well as vibrating function when recording starts. The glasses have a built-in 32 GB memory card that can hold 5 hours of video recording. 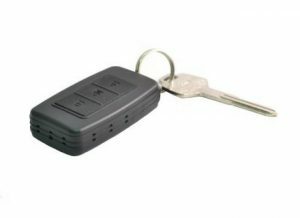 Depending on use, the batteries generally last for around an hour. You can charge the glasses, as well as download the footage to your computer via USB cable. The first option you’ll want to consider for hidden camera glasses. They’re top of the line Camcorder glasses, and have a ton of features that you’ll love. The high-end components of these sunglasses take sharp, HD pictures and video recordings. You’ll be impressed with the quality of them, and it’s far better than many of their competitors. 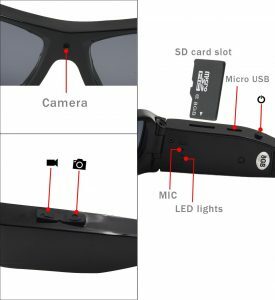 These spy glasses from Tmart are compatible with up to a 32 GB memory card, which is a massive amount of capacity. You should be able to take thousands of pictures, and record a significant amount of video without worrying about running out of space. They are lightweight, making them very comfortable to wear. They’re also durable, and should last you for years, even a kid. Apart from that, they’re stylish and the vast majority of people won’t even notice that they’re a recording device. They look just like regular sunglasses. Includes glasses, cable, and instruction manual. 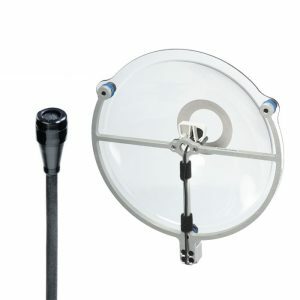 Where to Buy Tmart Sunglasses with Camera Built-In? The only place you can find these hidden camera glasses from Amazon. You can head over there to order now. Next up in our list of the Top 5 Spy Camera Glasses, the Toughsty 16GB Video Glasses, is an almost perfect product offered on Amazon. Considered a highly technological device, this eyewear is designed not just for security purpose but for fashion and memorabilia use, as well. This is so ideal for anyone feeling paranoid that an intruder might come near and do something inappropriate. 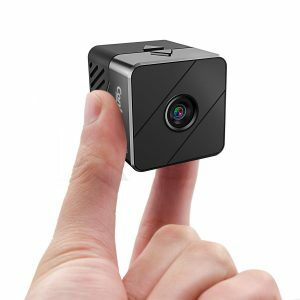 It is also a perfect must-have for those who are fond of taking pictures and recording videos for remembrances from special events in their lives. The Toughsty 16GB Video Glasses are a bit pricey if you compare it with the other camera sunglasses we have here. These spy cam glasses cost a bit more than the cheap options out there, but you don’t have to pay extra anymore for the shipping. This then, is worth your pay, right? Also, nothing else is more reasonable than spending for a product that ensures your one’s safety. You are guaranteed too, to keep happy memories with the built-in camera that comes with it. See: Full Review of the Toughsty 16GB Video Glasses. These hidden camera glasses will surely be a favorite if you’re a parent. Special occasion or not, the Spy Specs Video Glasses is gadget for your child. Aside from being an eye protector, this pair can guard your son or daughter from possible danger. 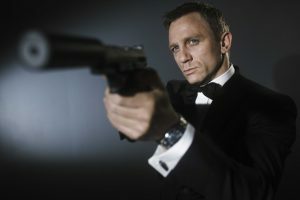 And it’s also a cool piece of gear for the aspiring James Bond! Stocking stuffers, Christmas or birthday presents, these things make an excellent pick. This eyewear allows any child to discreetly record so he’ll be able to watch closely the strangers around him without being noticed. What’s good about the Spy Specs Video Glasses is that, your child can capture up to 2,000 photos. Therefore, he can take photos using any angle and of catch every single movement hands-free. The most exciting part about our third in the Top 5 Spy Camera Glasses is that, they are indeed, perfect for your little darling! For a reasonable price, your child can get not just a pair of sunglasses but a dependable spy gear too! See: Full Review of the Spy Gear Spy Specs Video Glasses. One look at the so-called ‘shades’ will make you think it is just one ordinary yet fashionable eyewear. But in reality, it is more than that. The design of this spy gear is beyond the ordinary that it perfectly matches the shape and complexion of your face. This pair of high-quality glasses with camera is not that expensive. For a reasonable price, you benefit a lot from this product. By simply putting the glasses on, you can already gauge for yourself if something strange is going around you. 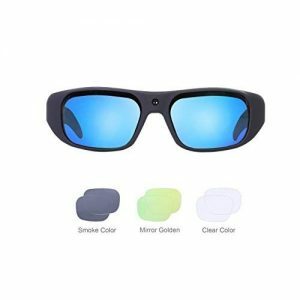 And since the Eovas Dvr Digital Camera Sunglasses boast of clear camera, you can even record the movements you find unusual. And what’s even better is that, because the camera attached to the eyeglasses, there’s no need for you to lift a hand or press a finger to take pictures and record videos. See: Full Review of the Eovas Dvr Digital Camera Sunglasses. 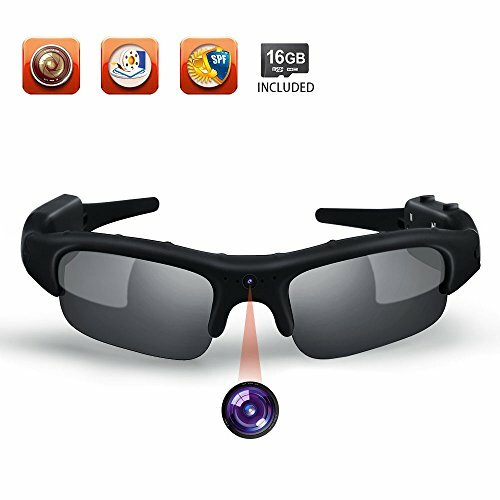 You can buy the Eovas Dvr Digital Camera Sunglasses, a mini recording device on Amazon. The Forestfish Spy Camera Glasses has some excellent user reviews on Amazon. 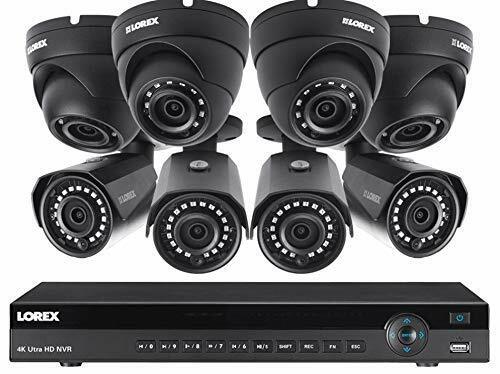 For a reasonable price, plus free shipping, this lightweight security device comes complete complete with everything you need when monitoring the goings-on around you. 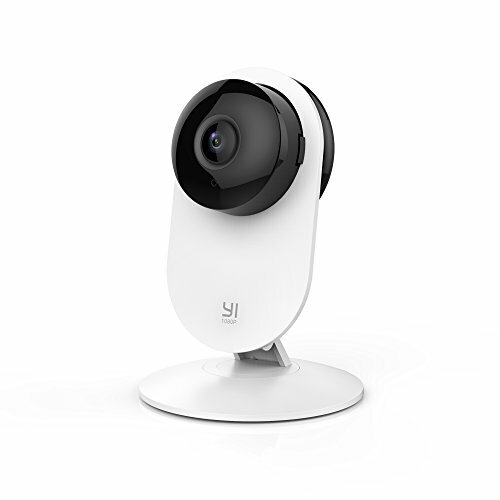 The built-in camera lets you take pictures and record videos with best quality results. On top of the polarized lenses and UV protection, this pair of sunglasses is made of durable materials. It is also lightweight so you can definitely bring it anywhere you go easily. 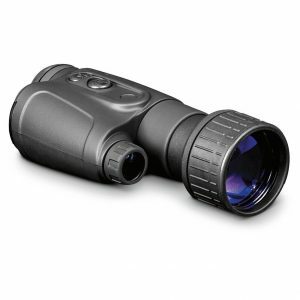 The 5MP camera the Forestfish Spy Glasses with Hidden HD camera feature a high resolution for both photo and video. They come with a built-in 16GB memory card. Here’s more! A large capacity is still expandable to up to 32GB for longer hours of documenting. This eye-protector and security device will let alert you charging tops. The red light flashing stops to indicate that the sunglasses are fully charged. For such an affordable price, you get to own these video camera sunglasses that functions doubly (or even triply). See: Full Review of the Forestfish Spy Camera Glasses. That concludes our list of the Top 5 Spycam Glasses. We hope that you found the spy cam glasses were looking for. But, please remember our most important rule here at Spy Cameras Reviewed: Surveillance cameras and things like a spy pen should only be used for good, and not for evil. Okay? Awesome! Enjoy. Have fun with these toys. And remember-spy camera glasses make great gifts for kids who seem to have everything. They probably don’t have a pair of spy cam glasses! Christmas, birthdays, graduation gift-they’re sure to make an awesome gift. How Do I Know Which Hidden Camera Glasses Should I Buy? There are a number of things you might want to consider when choosing which glasses to buy. Here are a just a few of the factors. 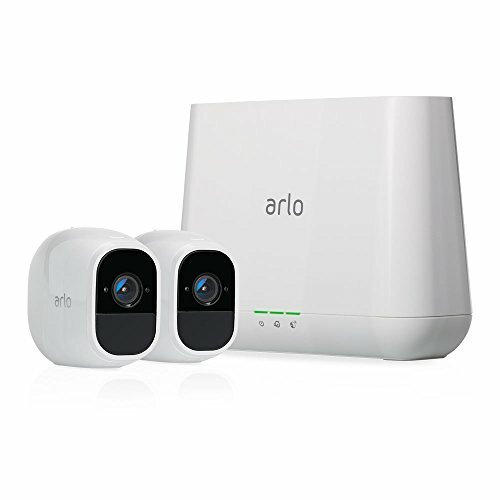 The top quality glasses feature 1080 720p recording capabilities. This will produce sharp, clear images. The cheaper ones will lower-quality recordings and may appear a bit blurry, particularly in lower light conditions. 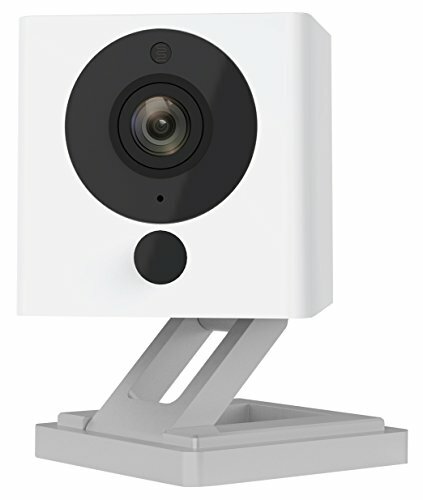 You can find some 12 MP cameras, going down to around 2 or 3 megapixels in the ones for kids. Some glasses record audio while others do not. Likewise, some just take photos while others offer video capabilities. Buy the glasses that suit your needs. 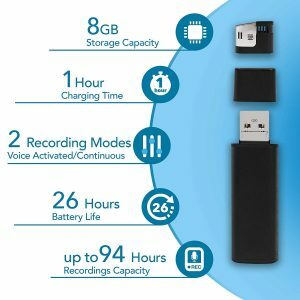 If you plan to use them for longer outings, be sure to check on the battery life of this mini recording device. On the other hand, if you will only use for short periods of time, then it’s not such an issue. 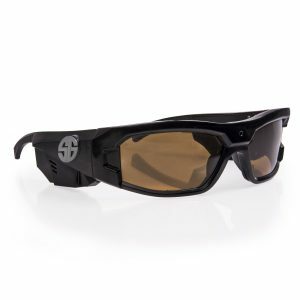 Check to see what accessories are included with your hidden camera sunglasses. For example, extra rechargeable battery, longer charging cord, extra memory card, wall charger, or car charging unit. Most unit come with a MicroSD capable of holding 16GB or 32GB. Any lower than that may prove frustrating as you’re always having to sync it up with your computer. MicroSD memory cards aren’t cheap, so check to see if one is included. If it’s not, it may not be a big deal, but the price should of course be lower. If you plan to use it for any sort of official recording, you’ll probably want a time and date stamp. On the other hand, if you plan to use it take pictures of your dog on a walk, or kids at the park, you may not want this. With some of the higher-end units, you can turn this feature on or off. The best ones start recording or take a photo with a single click. The cheaper ones are not as user-friendly, and you may have a hard time figuring out how to actually use them! What does one click, two clicks, a short click or a long one mean? Hopefully you’ll be able to figure it out easily. At the high end, it’s very hard to tell that they are spy glasses. The high-quality lenses are often polarized and offer full UV protection. Related to this, the best quality lenses usually have the nicest, most durable frames. At the lower end, you’ll have glasses that are cheaply made, lenses that don’t actually protect your eyes, and an obvious looking camera lens. We LOVE companies that stand behind their products with a limited money-back guarantee. 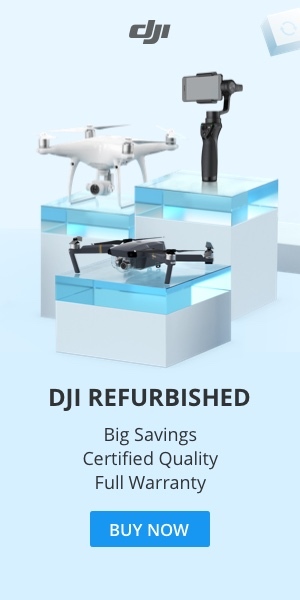 Or, at the very least, they offer a warranty of at least a few months. 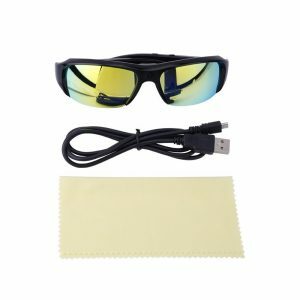 What do you look for in a pair of spy cam glasses? What’s your top pick out of our Top 5 Video Camera Glasses? Bobby Miller is a former police officer turned spy gear expert. He specializes in counter-surveillance, as well as making recommendations to government agencies for the top spy gadgets for their needs. He's excited to share his wealth of knowledge with our readers.